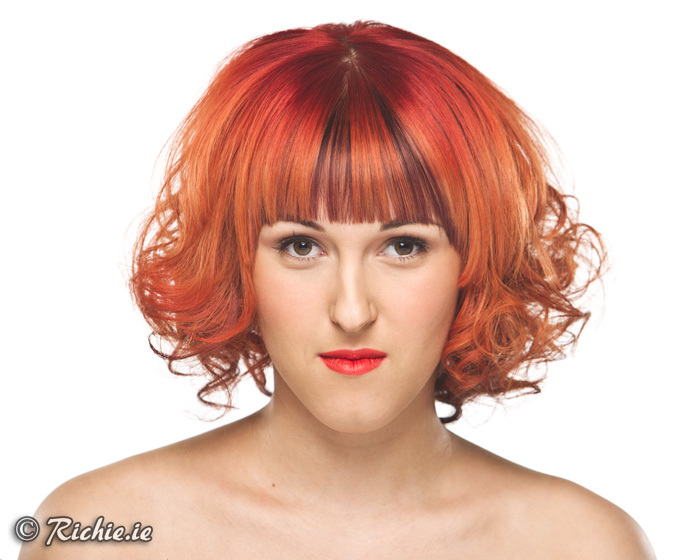 I recently had local hair stylist, Natalie O’Neill in studio. Natalie runs her salon called Revive, based in Courtown, Co. Wexford. She was entering the Wella Hair Competition and needed some shots to enter. The above look was her entry. I shot it on a white background to let the fantastic colours show up. Great time and effort was put into getting the colour just right. Upon closer inspection you can notice all the shades going on.